This report builds upon a pilot study that was conducted for YANQ in 2010. 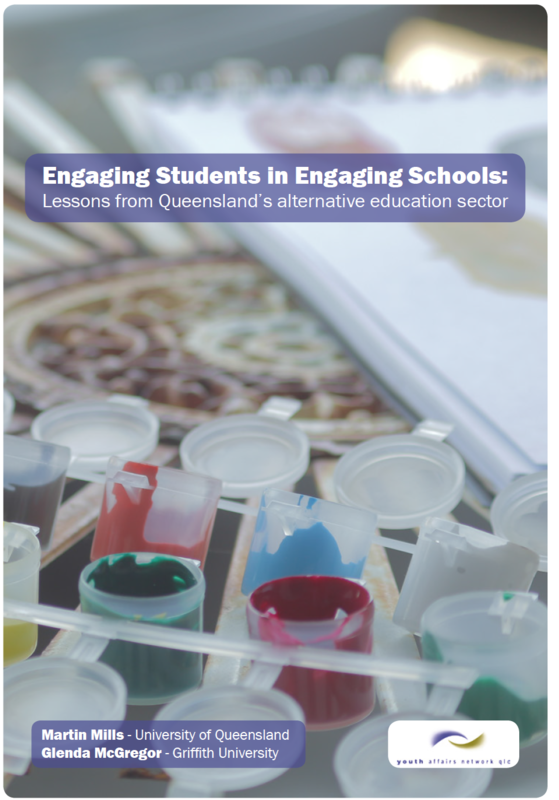 In that study we collected data from a small, diverse group of alternative schools in South-East Queensland. We identified some of the practices that had worked to engage marginalised young people facing very difficult life circumstances back into learning. This Australian Research Council funded project was able to build upon that pilot study by adding regional and rural case study alternative schools that cater to the needs of some of the most marginalised young people in Queensland. Building Young People’s Voices is an initiative of Youth Affairs Network of Queensland (YANQ). The project has received funding support from Dusseldorp Forum. The project documented the voices of young people and their perspective on best practice in provision of alternative/flexible education. These six videos are developed to provide Youth Workers and Educators with a sample of what young people themselves believe to be good practice in a flexible education setting. Youth Workers/Educators 6 The Value of Flexi Schools from Youth Affairs Network Qld (YANQ) on Vimeo. Please note: This is a link to Dusseldorf Forum's webpage. You can find more information on learning choices across Australia at this site.